beautiful flowers, esp the roses, my new dawn is growing good how is yours doing? just bought a purple splash and rambler ghislaine de feligonde, pronounced jis LANE de fell a gond, also bought 3 climbing hydrangea, the butterflies magnolia is not doing well it hasn’t grown any leaves except 2 the garden center said to put fertilizer around it and wait a month. my Canadian roses is not doing well, lost a lot of the top branches but a couple but hopfully it will get strong before winter comes. your clematis are beautiful too. 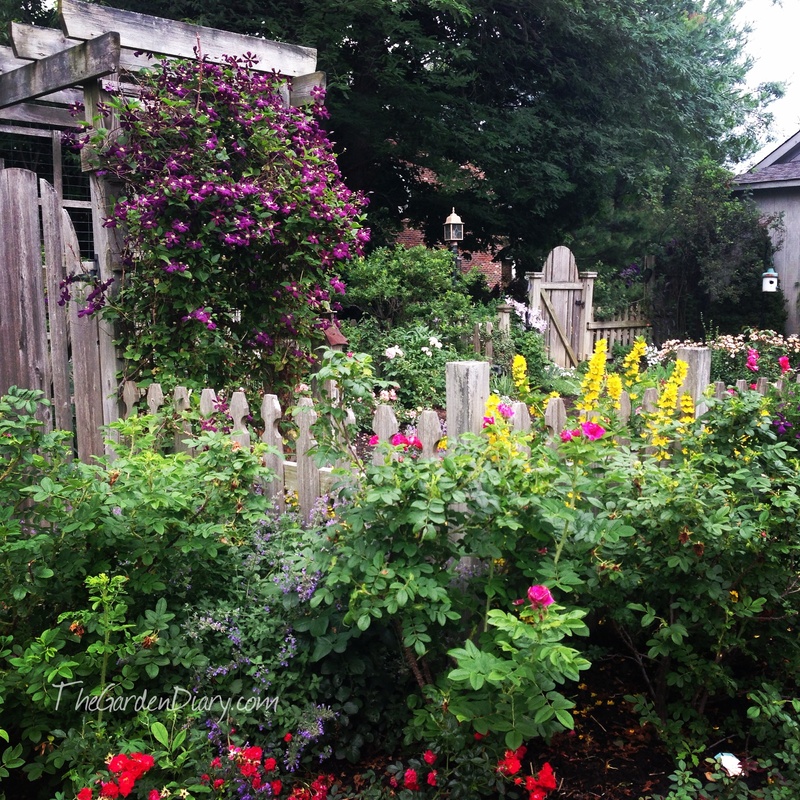 thanks for sharing your garden with us regularly. you lost it totally? I am so sorry for you, I will keep you posted on the climbing hydrangea it takes about 2-3 years before they bloom but I went ahead and got them because the leaves are variegated. very pretty. we thought we lost the butterfly bushes but they are coming back from the roots. Your garden is looking just lovely. I know the amount of work that goes into keeping it that way. Well done.